It’s a cycle many of us are more than familiar with – one minute you’re stepping out of the salon with perfect colour, then a few weeks down the line your natural colour has sneaked up and along your parting, tormenting you until you can get another appointment. Nightmare. Your roots are most obvious in a straight line along your parting, but with a quick restyle, you can disguise them a little. “The best way to hide roots is to avoid definite partings,” says Tom Cruickshank, senior colourist at Neville Hair and Beauty. Katie Allan, creative manager at Charles Worthington recommends creating some volume to blur the lines. “Wear your hair curly rather than straight, creating as much root lift as possible,” she advises. 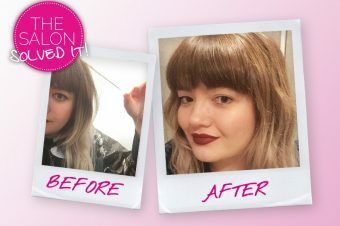 “Tinted root concealers offer a quick fix that will last until the next time you wash your hair,” says Donald Black, colourist at Neville Hair and Beauty. “There are so many colours to choose from so pick the one closest to your own base color.” And there are many different consistencies too - Fudge Professional Root Disguisers are powders available in four shades and instantly disguise root regrowth for coverage that washes out instantly. Read more about the latest root coverups here! 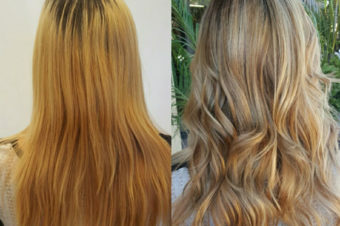 And if you want to stop worrying about your roots, it might be worth considering a colour treatment like a root blur, which breaks up the harsh lines and makes your roots a feature, rather than a flaw. 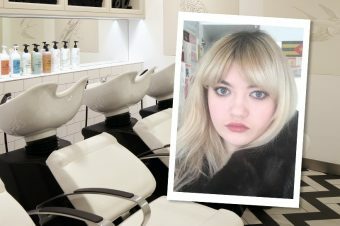 Read our review of the root blur service at Radio Salon in London here, and see if it’s for you – because we heard grunge is coming back, y’know!